Amidst the latest news from Russia which appears to have chosen the T-72 Main Battle Tank (MBT) to continue to be the backbone of its Armed Forces (the platform was introduced in 1973), while the new T-14 Armata would not be mass produced due to its excessive price according to bfm.ru, we may look at the details of the T-72M4 CZ MBT modernization project presented by the Chief of the General Staff Aleš Opata in June. The major aim is to extend the lifetime of the currently operated vehicles to offer enough time to find a suitable replacement. The question will become urgent by 2025. New Russian T-72M MBTs were presented to the public on 9th May during the Victory Day parade in Moscow. They are a development of the last T-72B3 variant with a more powerful engine, better reactive armour protection, counter-HEAT grates, improved accuracy, and revamped equipment, thus upgrading the existing T-72s which now are comparable to the most advanced third generation tanks. 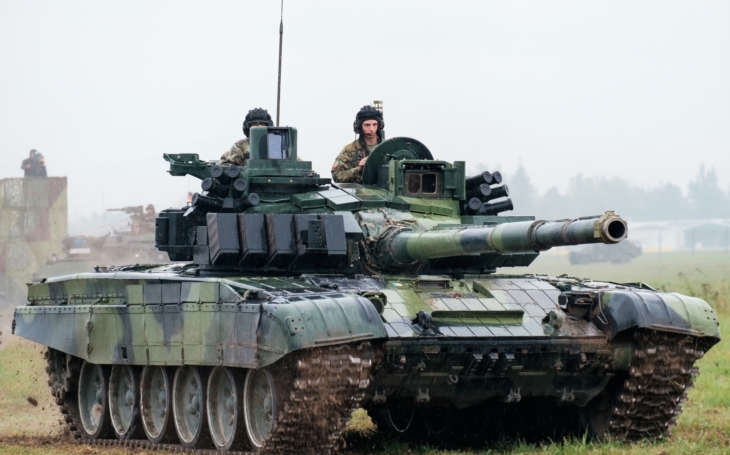 The Czech Army also plans to upgrade its actual fleet of T-72M4 CZ Main Battle Tanks, provided we are allowed to say “fleet”, as there are 30 of those, including three command tanks, plus 3 recovery VT-72M4 CZ variants, all operated by the 73rd Tank Battalion of the 7th Mechanised Brigade. The first modernization of the T-72s has been decided back in 1994, and was meant for 353 tanks, combining chassis from the T-72M1s and turrets from the T72Ms. Based on the defence and state security conceptions from the late 1990’s the number of tanks was first reduced down to 140, and later even to 30, which barely allows the Czech Army not to loose its armoured corps’ know-how. The result of the Czech modernization of the T-72 platform, the T-72M4 CZ, is considered to be one of the most effective upgrades. It has been carried out under a contract between the Ministry of Defence and VOP 025 (VOP CZ) from 2001 (at a total price reaching about CZK 4.5 billion; USD 120 million at 2001 rates), with many other foreign and local companies involved in particular sub-projects. All 33 tanks were operational by the first half of 2006, Czech Republic was and still is the only operator of this specific variant. The tanks will now see another series of improvements concerning especially its primary weapon system, including the Tank Universal Reconfigurable Modular fire control System (TURMS-T), in particular the replacement of the Attila thermal camera, considered obsolete. Sensor systems – day observation system (CCD cameras), night observation system (IR cameras are priority). Fire suppression and anti-explosion system. Modernization of the automatic transmission and of the control section.